Located in the center of the Indian mainland, the state of Madhya Pradesh is also called the Heart of India. It was the largest state of India areawise until it was further divided into Chhattisgarh, a separate state. Bhopal is the capital city of Madhya Pradesh and it occupies a prestigious place in the itinerary of a tourist who is on his tour of central India. Tourism is Madhya Pradesh is flourishing in leaps and bounds and there are several cities in the state that are known for their architectural marvels and unparalleled scenic beauty. This land is a ts rich culture and heritage can easily be traced from its ancient monuments and moreover, three sites of this culturally affluent state have been declared as the world Heritage Sites by UNESCO. On your travel to Madhya Pradesh you will come across numerous places of tourist interest that will definitely make your travel experience an unforgettable one. Madhya Pradesh has everything in store for the discerning tourists whether it is leisure travel, wildlife tour, heritage tour or adventure tour. Some of the scenic destinations of Madhya Pradesh are Ajaigarh, Amarkantak, Asirgarh,Bawangaja, Bhopal, Gwalior, Indore, Maheshwar, Mandleshwar, Mandu, Omkareshwar, Orchha, Pachmarhi, and Ujjain. These places are also recognized for eye-catching architectural monuments that reflect a culturally affluent past. A nature lover will also find this place an exciting retreat since Madhya Pradesh is also quite popular for the rich biodiversity. The flora and fauna in the national parks is simply exquisite. Some of the famous ones include Bandhavgarh National Park, Kanha National Park, Satpura National Park, Sanjay National Park and Madhav National Park. Not only will the nature lovers, the anthropologists will also find this state an attractive one since it is home to several ancient tribes such as Gond, Bhil, Baiga, Korku, Bhariya, Halba, Kaul, Mariya, and Sahariya. 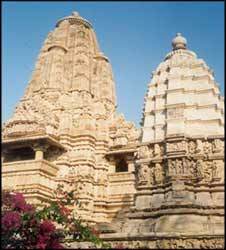 Madhya Pradesh is a wonderful blend of charming natural beauty, history and modern urban planning. Madhya Pradesh has all sorts of hotels that are located in its important towns. There are five star hotels, four star hotels, three star hotels, budget hotels and also wildlife resorts that are located in and around the various national parks. The important cities of Madhya Pradesh such as Gwalior, Khajuraho, Indore, Jabalpur including the capital city Bhopal are well-connected by the air, rail and road network. You can access any major town of Madhya Pradesh from the distant corners of India also quite conveniently. Madhya Pradesh is certainly a cause of envy for the other Indian states because the number of tourists dropping in to this town annually is simply unmatched. Your tour to India remains incomplete without a visit to this town. Know more about Madhya Pradesh by clicking on to touristplacesinindia.com which offers valuable information regarding the trip to Madhya Pradesh.